Mix the dressing ingredients in a food processor and blend until smooth. Place into a bowl and store in the fridge until ready to serve. 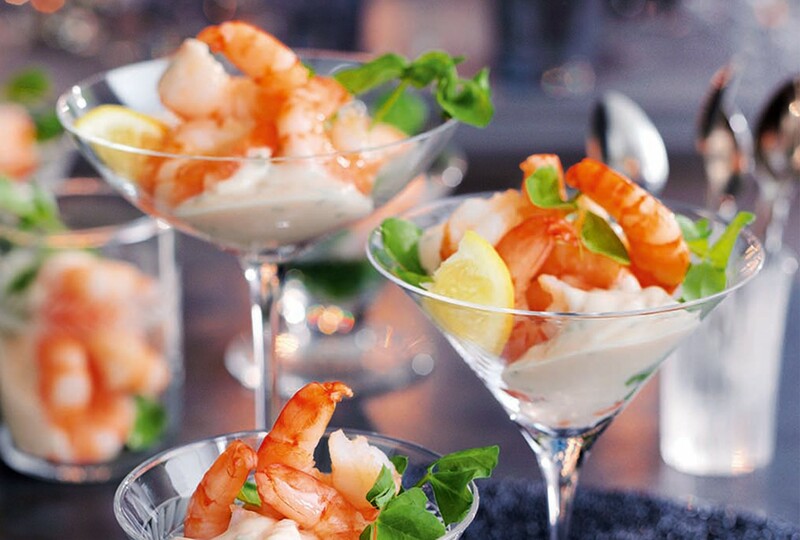 To make the prawn cocktail, place the prawn and dressing into a bowl and mix together gently. Tear the grapefruit segments into chunks and add them to the prawn mixture, stirring to combine. Divide the lettuce among eight flat sundae glasses or bowls. Spoon equal portions of prawn and mixture over the top of each.